Supporters of the rapper on Twitter have also sounded off on the good news. 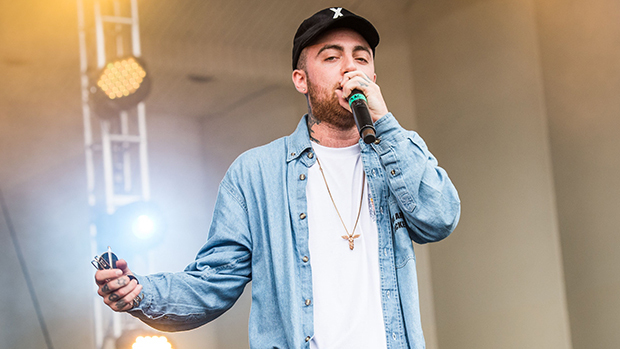 "Let’s not forget that @MacMiller got recognized. @RecordingAcad got it right. #MacMiller #grammynoms," one fan tweeted. Another added, "Sooo proud of #MacMiller. He put his heart and soul into the new Album (like everything he worked on) although he can’t enjoy the fruits of his labor, his masterpiece will continue to live on through his fans and supporters ❤️." Others talked about the album's personal impact. "He deserves it i couldn’t be more proud he created such a beautiful album that impacted me in so many ways and for that i am thankful. we miss you everyday #MacMiller," another person tweeted. All was not happy, though. Some people were pissed that it seemingly took him dying to be recognized as a great artist by the Grammy committee. Mac Miller fans were pleasantly surprised to find out the late rapper had earned a 2019 Grammy nomination for Best Rap Album on Friday (Dec. 7). Mac's Swimming album is up against some stiff competition as it will battle it out with Cardi B's Invasion of Privacy, Nipsey Hussle's Victory Lap, Pusha-T's Daytona and Travis Scott's Astroworld. News of the posthumous nomination has the internet abuzz.